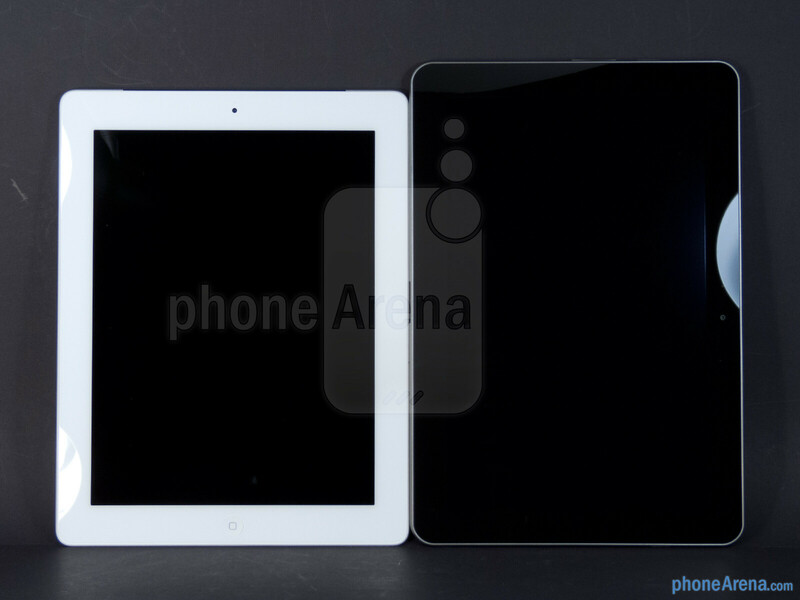 Now that the iPad 2 has made way for its successor in the new iPad, it’s only fitting to pit Apple’s latest baby against the horde of competition that are already littered across the tablet landscape. Rising above most other things, the Samsung Galaxy Tab 10.1 LTE comes to mind as a dubious competitor since it’s regarded as the best of the best from Samsung’s camp. On the surface, both are very similar with their options, which is hardly a surprise, but as we’ve come to expect, there can only be one that will ultimately prove itself to be the sole standout hit. Before diving in, it’s worth noting that the Apple iPad 4G LTE’s price starts at $629.99 for both AT&T and Verizon variants, whereas the Samsung Galaxy Tab 10.1 LTE is a bit more at $699.99 through Verizon only. From a distance, the two look similar to one another, but once we’re able to grasp both in our hands, the new iPad is able to deliver the impactful wow factor thanks to its premium feel. Well, it’s not to say that the Samsung Galaxy Tab 10.1 isn’t a bad looker, especially when it’s the lighter and slightly thinner tablet, but its all-plastic body doesn’t have the allure to match the impeccable industrial design of the iPad. Indeed, the new iPad’s appearance might not bring anything fresh to the table, especially when its design is a recycled one, but nonetheless, its iconic look combined with its premium construction still hits the high marks in our books. No doubt we dig the responsiveness exhibited by the physical buttons available on both tablets, but the ones on the iPad are raised higher to offer better distinguishability with our fingers. As for charging and data connectivity, both resort to using proprietary 30-pin connection ports, which is also the way they’re able to gain video-out functionality with the aid of optional accessories. For all of you audio buffs, the iPad has a single speaker located of the bottom left corner of its rear, while the Samsung Galaxy Tab 10.1 boasts stereo sound thanks to its two speakers. In terms of cameras, there’s plenty to like since the Samsung Galaxy Tab 10.1 is outfitted with a 3.2-megapixel snapper with LED flash. 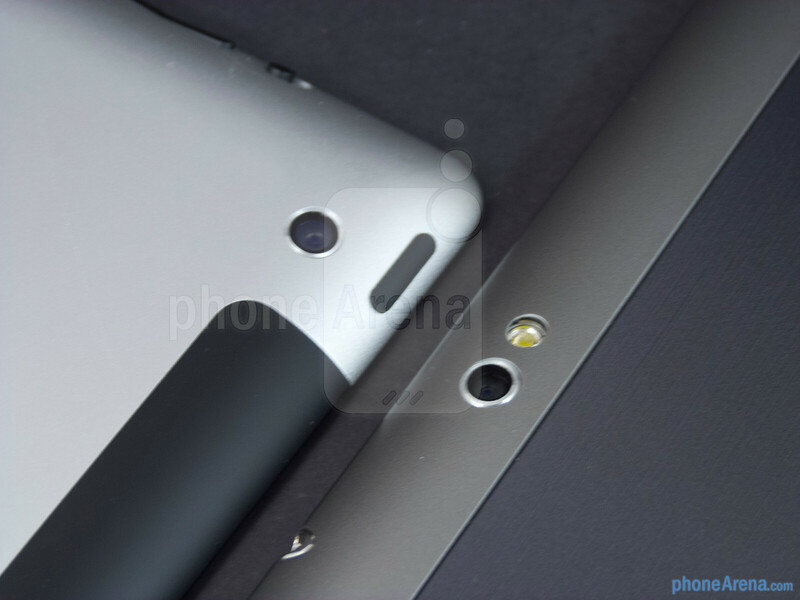 Conversely, there might not be a flash on the new iPad, but rather, it’s impressiveness is found with its 5-megapixel iSight camera, which features an F2.8 aperture lens and sensor with backside illumination. On the other hand, front-facing cameras are naturally available with both, as the Galaxy Tab 10.1 packs a higher count 2-megapixel camera, versus the paltry VGA snapper on the iPad. Absolutely, if there’s one reason why the new iPad is such a feared competitor, it has to be none other than the crisp and super detail Retina display it’s bringing to the tablet. 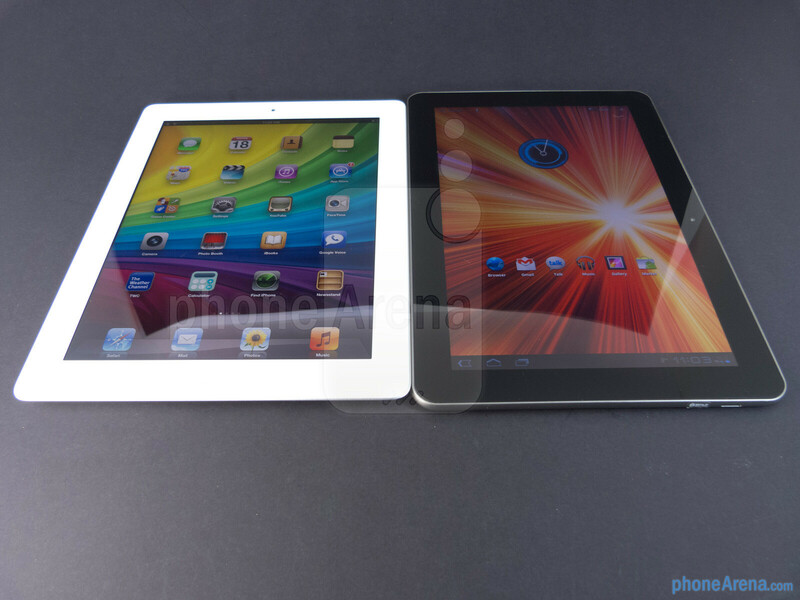 Comparing the two, the numbers seemingly do all the talk as the iPad boasts a mind-bending resolution of 2048 x 1536, which blows away the 1280 x 800 resolution of the Galaxy Tab 10.1. Although it’s hardly noticeable to visually see the superiority of the iPad’s Retina display from a far distance, it’s evident once we take a peek at our web site at a full zoomed out view. At times, the iPad’s display is simply surreal with its stunning visuals. Details aside, both offer wide-viewing angles, high contrasts, and natural looking colors – though, the iPad’s display tends to come off warmer looking. 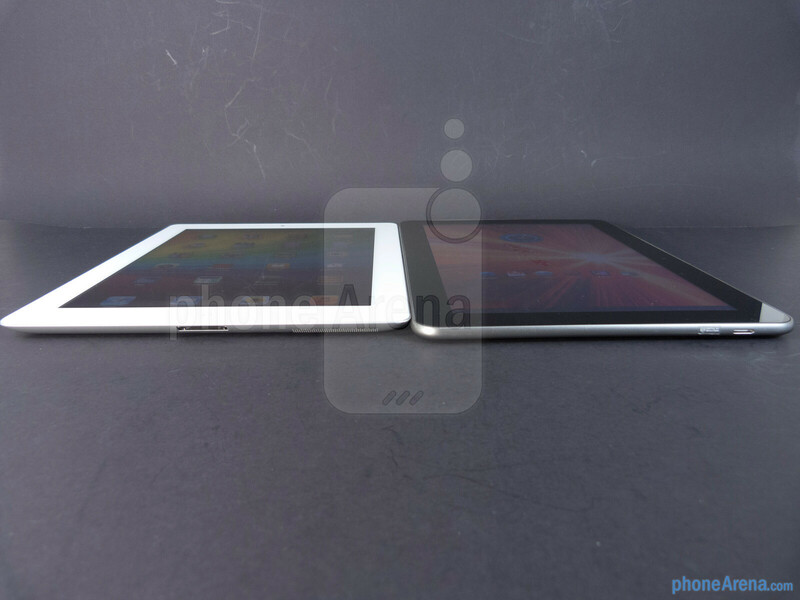 When it comes down to it, however, the iPad has the eye candy to pique anyone’s interest from afar. yeah lets compare a tablet thats been out since last summer to one that was desgned to be better then it.., love apple fan boi sites. Why not compare it with the asus prime? scared? I agree, it would be more reasonable to compare it to the prime. A Tegra 2 Processor is obviously no match to the new TI OMAPS and Tegra 3 and Exynos (Note 10.1, but still) Is there any valid reason why the 10.1, phonearena? i mean, yes LTE is not on the prime but please, the Transformers w/ LTE are coming. 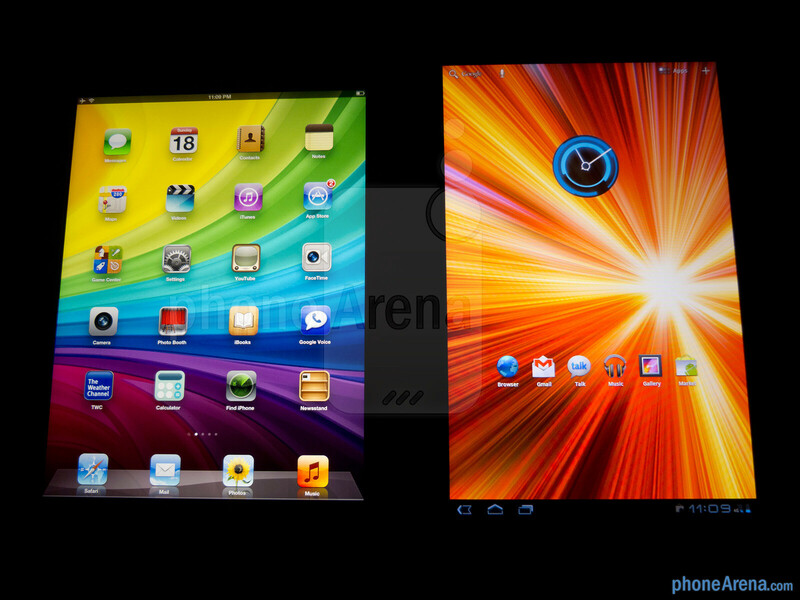 And above all you are comparing the new ipad with the old galaxy tab with the old version of Android, what an Applefan comparizon ! 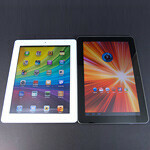 Considering the Tab 10.1 is the same price point as the "new" ... I see the comparison valid. so lets also compare a beat up old car at that price to. Hey by your logic if its the same price the comparission should be valid. Ahh ... yes. If you have $X. You have 2 cars with the owners asking $X. Would you not compare as to which car had the better engine, less mileage, better fuel economy, etc??? In this case ... Samsung needs to drop their price ... or folks will do exactly this ... compare the "New" with the "Tab" and figure out ... "Boy, I get more bang for the buck with the New." not exactaly, you can find deals on the tab just about anyday, on Apple products, not so much. 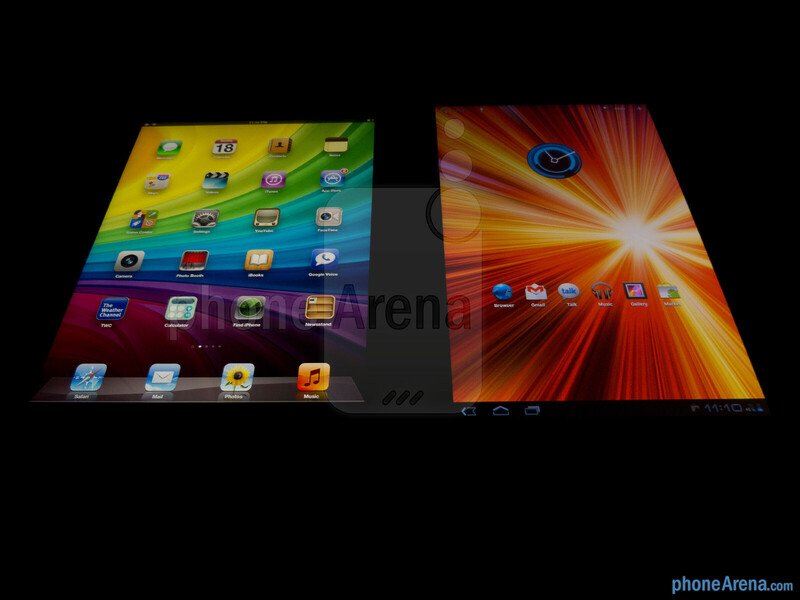 or lets compare the Galaxy Note to the iPhone 4S. 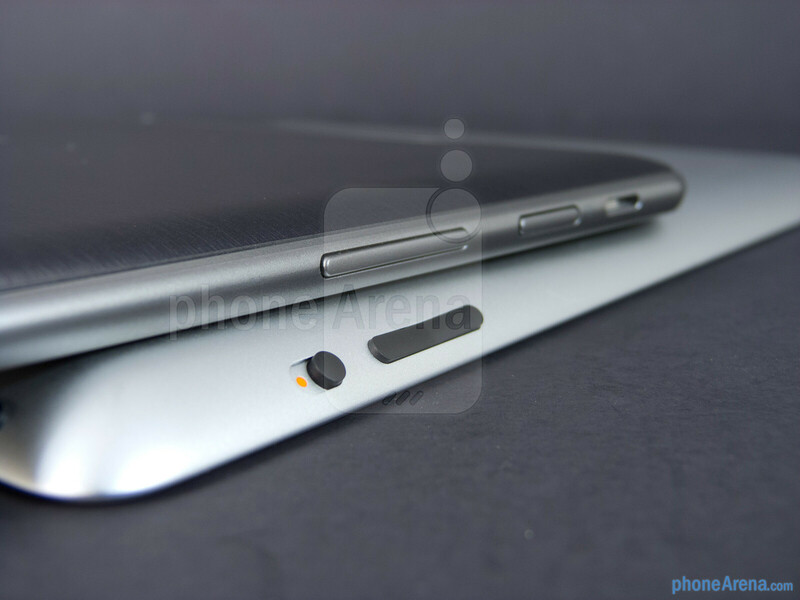 Did Apple really create a square tablet and called it innovative. LMAO! Maybe they tried but it kept rebooting. If the Samsung is so old and uncompetitive, why is it priced more than the iPad. 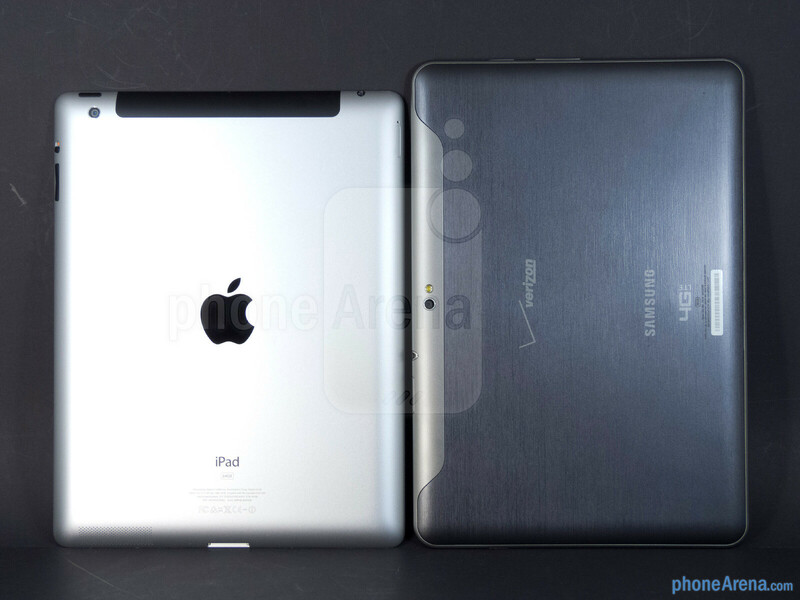 Seriously, since copying the iPad a year ago, Samsung has not had a chance to copy the new iPad yet. Uh, I hate it when Apple fan boys keep saying Samsung "copied" Apple's iProduct... do you even know who supplied Apple with their screens? 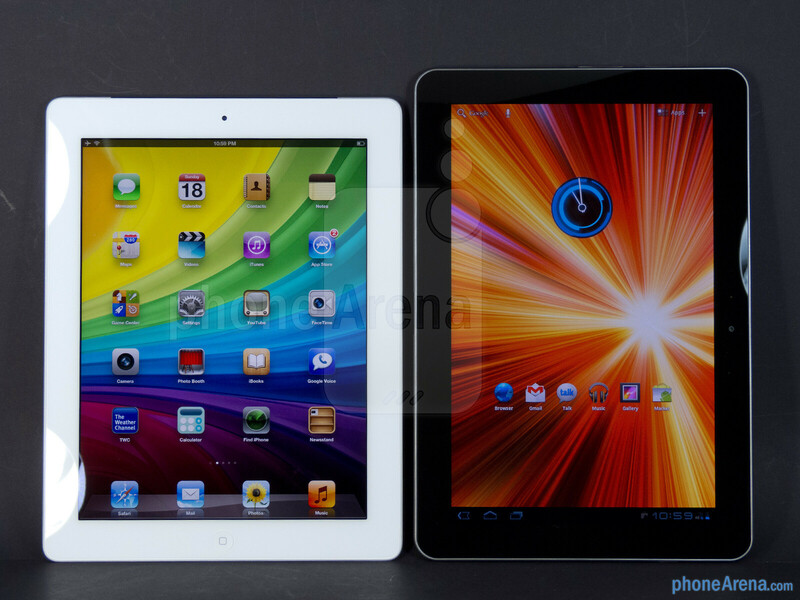 (including the one on the "new" iPad), do you know supplies Apple with processors? The answer to both questions is Samsung. Tell Apple to create their own technology and then maybe you have a point. 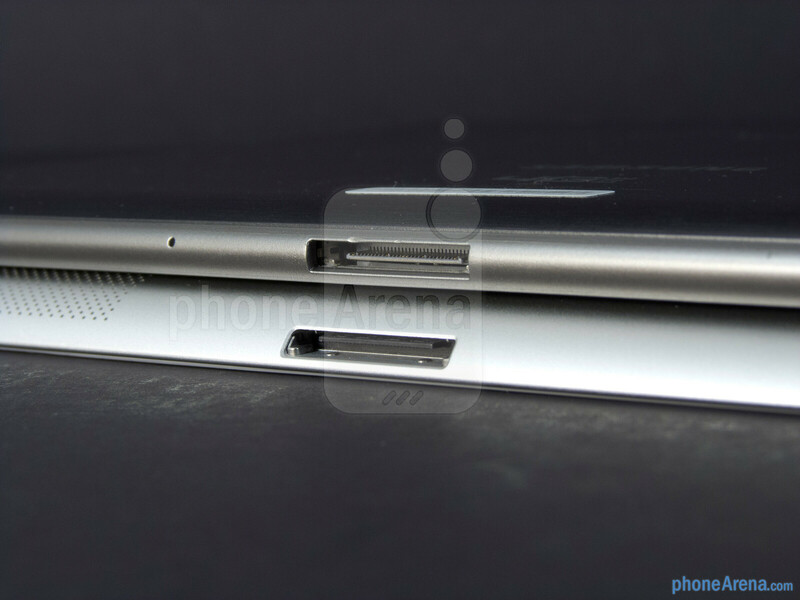 What does this have to do with copying Samsung simply supplied apple with screens. And arm provides apple with processors where apple customizes them (underclocking and such). What c hack is saying is that apple made the touch screen tablet idea and other companies just used their ideas. (apple made the tablet idea in like 2003-2005 but made the iPhone first) and if Samsung creates high resolution displays, why dont they use them on their products? LOL Wtf is this crap ??????? 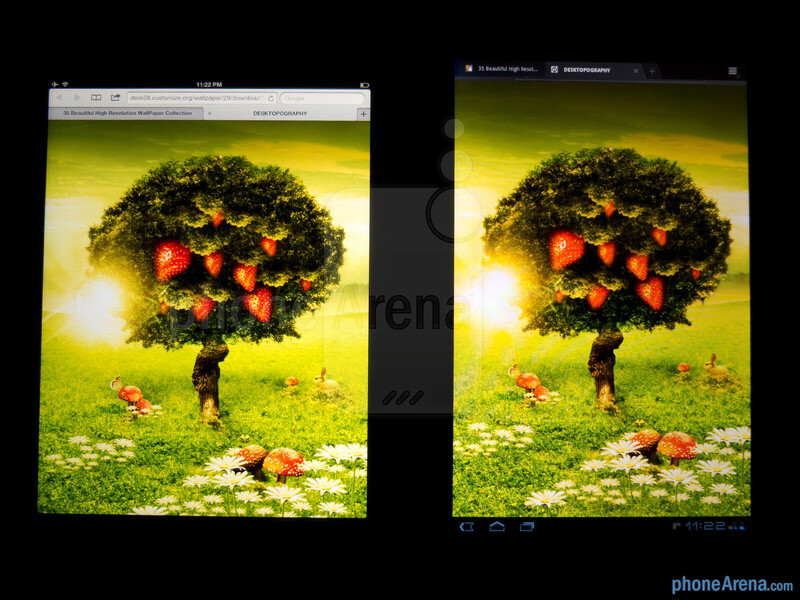 its like - lets compare the samsung galaxy s2 with the htc desire ...... 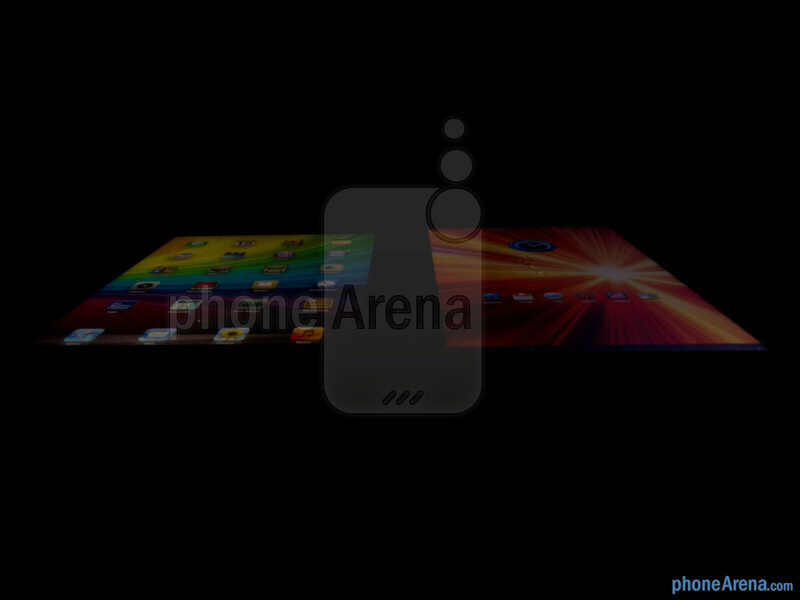 Honestly, Phonesarena... wake up, this type of BS review will only do you harm. 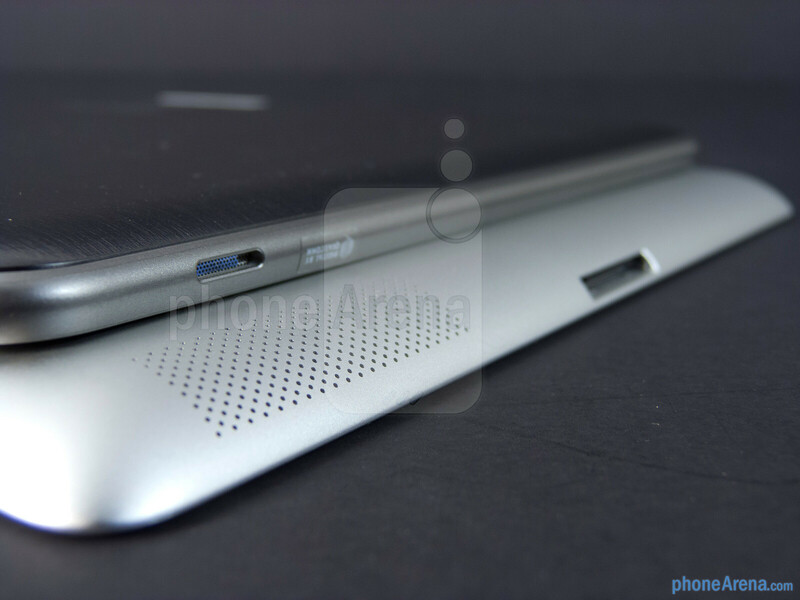 The review I would understand is, lets compare the ASUS transformer prime to the Ipad 3. Awful reporting and reviews, extremely disappointing !!!! 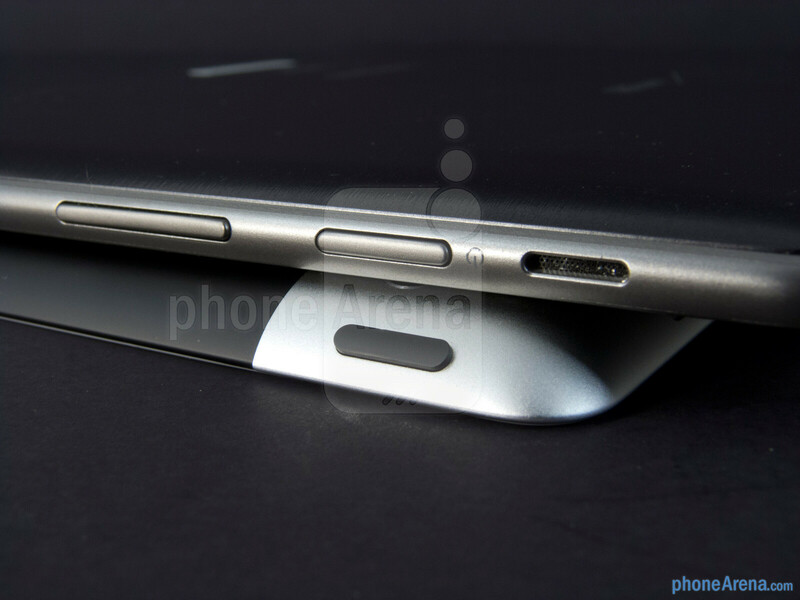 R u serious where was the outrage when the ipad 2 faced the much new transformer prime and lost. Can we got some consistancy here. 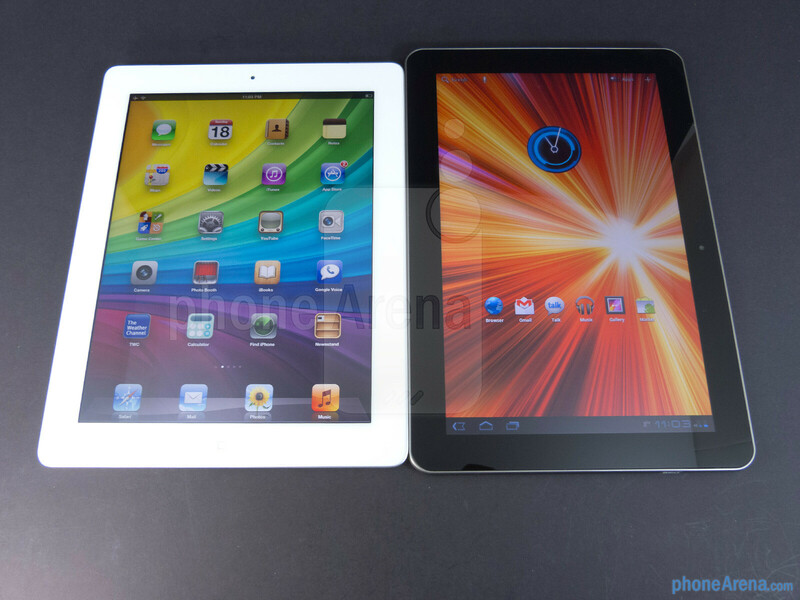 This is samsungs best tablet vs apple's best tablet so it a fair comparasion especially considering their priced the same. 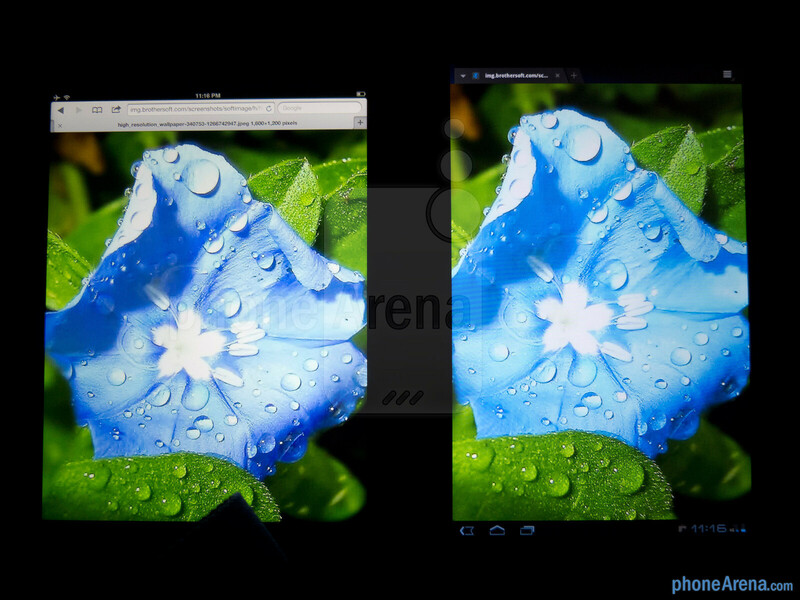 When the new tab comes out i am sure we will see an ipad vs that don't worry. 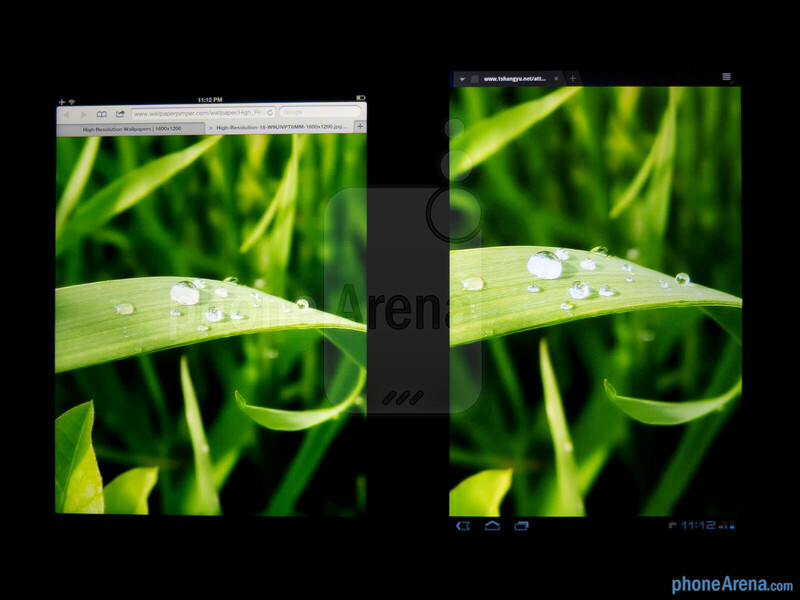 Pictures comparison between iPad3 and Galaxy Tab human eyes can't tell the different, so we have to wait for a new Galaxy Tab to make it a fair comparison with iPad3. They said the same thing about HC. Its just more lipstick on a pig. Androids VM needs a total rewrite to be competitive. But above all else it needs decent tablet apps. More iPad apps have been updated for the retina display in less than a week than android tablet apps have been developed in the last year. Truly pathetic! This comparison is an outrage and Chuck Norris does not approve, Current vs Current should be compared. I bet you they dont compare a DroidX with a Razer MAXXX. Whats the point? Y'all ever think that maybe that they are comparing the two since the galaxy tab is one of the most popular Android tablets that's growing a bit long in the tooth, and the comparison is for people interested in what they have vs what just came out and if it's worth their dollar? That's exactly what it is. It saddens me as to how many users are incapable of realizing something so simple.